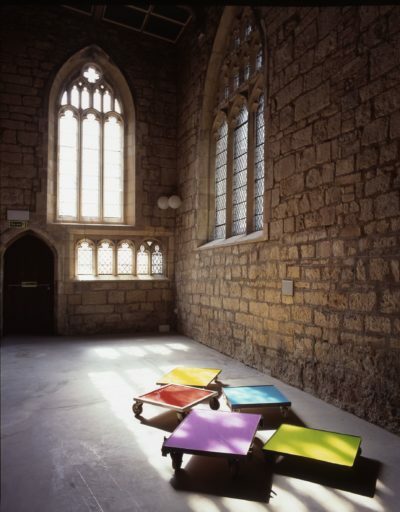 York St Mary’s opened its doors as a contemporary art venue in 2004 with A Light Crescendo. 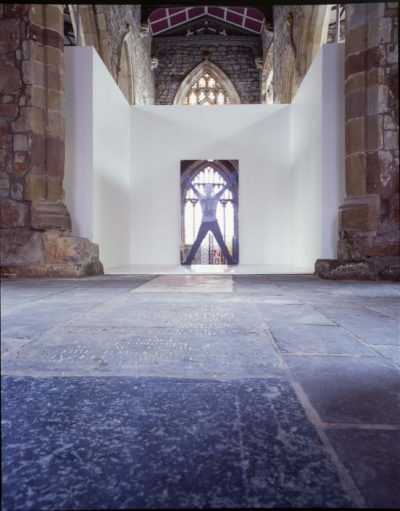 The exhibition on the theme of light featured work by acclaimed contemporary artists including Langlands and Bell, Lawrence Weiner, Gary Webb, Jaume Plensa, Angela Bulloch, David Batchelor and Michelangelo Pistoletto. 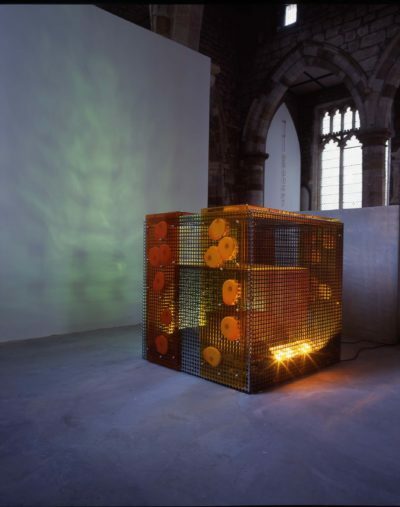 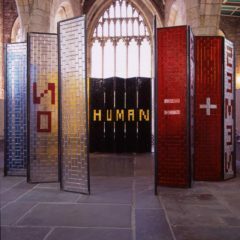 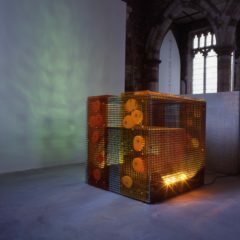 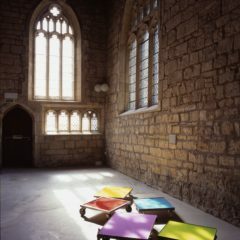 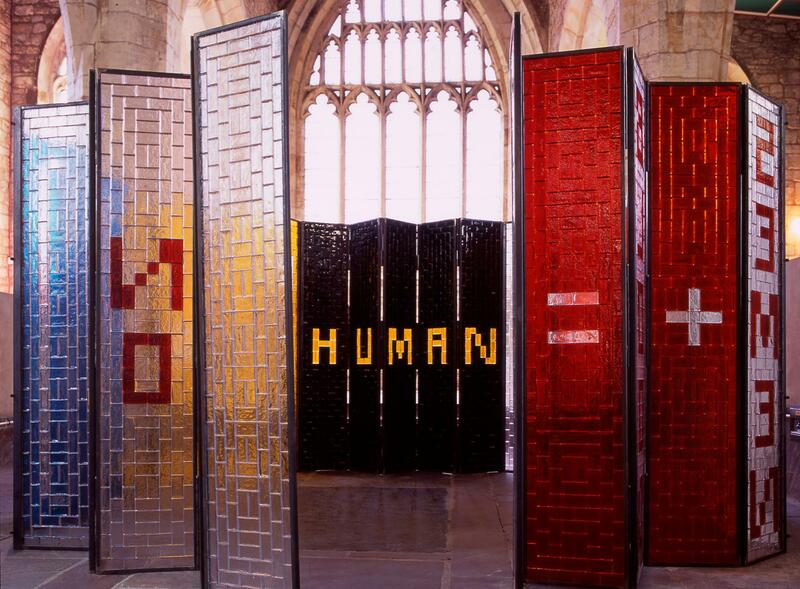 It set out to establish connections connections between the building, a former church with fine illuminated windows and text engravings, and a range of art works using light, neon, projections, highly-coloured or reflective surfaces and glass. 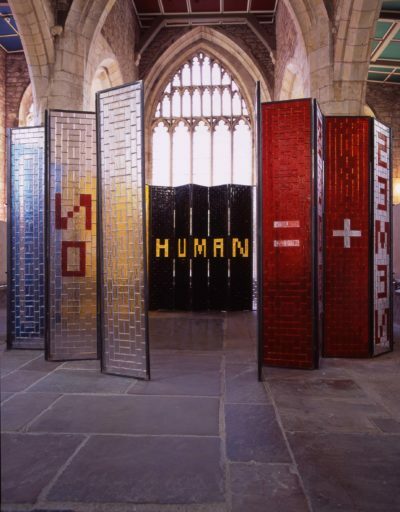 Weiner and Webb created new works specifically for the exhibition and Langlands and Bell, Plensa and Pistoletto exhibited new works. 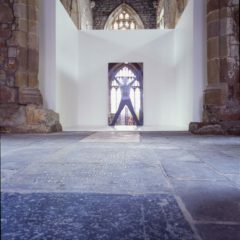 The exhibition was curated by Paul Bradley.